Below are vendor's products that are Aeries® SIS compatible. For any questions about compatibility, feel free to contact us. If you are a software-provider interested in interfacing with our Open API, please visit our blog article to find out more information. Signal Kit (by Dewsly Education) is the complete communication suite for your K-12 community. With cloud-based mass communication, internal collaboration, business intelligence and industry leading security – we’ve got you covered. It provides a simple, safe, and secure place for staff, parents and students to connect and communicate. Made for districts, created by schools, and loved by parents and teachers. Find out more about the trailblazing partnership between Signal Kit and Aeries Software to bring you the seamlessly integrated Aeries Communications platform to all of your users. SchoolCity provides intuitive Common Core Assessment, Curriculum and Reporting solutions to educators in California and across the US. We specialize in warehousing critical data from multiple sources, empowering teachers to effect real change in the classroom. SchoolCity is your one-stop destination for meaningful data management. We exist so that your students may achieve. Gauge is the assessment management system that improves both teaching and student achievement. Built by Instructure, makers of Canvas, Gauge gives you the same experience you know and trust—easy, painless, intuitive, open, time-saving, and more. Our goal is to make software that makes people smarter. And we believe that if you’re not using assessment data to improve teaching, learning, and testing, then you’re selling yourself and your students short. Test better. Learn better. With Gauge. edbacker is an answer to a pressing problem facing our nation’s schools: America’s educational funding gap, and the lack of technology resources designed for the parents who are tirelessly working to improve the lives of our nation’s students. Edbacker is the nation’s first user-friendly online platform designed specifically for districts and Parent Teacher Associations (PTAs) — making fundraising, donor management and parent communication easier than ever before. Canvas is the most usable, customizable, adaptable, and reliable learning platform (think 99.9% uptime). Canvas is adopted faster and deeper (or, is used in more ways by more users) than any other LMS. See how Canvas makes teaching and learning easier for everyone. eBackpack cloud-based K12 LMS engages students, teachers, staff, and parents in the learning process with intuitive, feature-rich interfaces on all web enabled devices. eBackpack’s built-in annotation, lock down quiz, audio/video, offline support, curriculum management, and standards alignment power is further extended by extensive student information system, grade book, and third-party content integrations. Schoology is the education technology company putting collaboration at the heart of the learning experience. Schoology’s education cloud connects the people, content, and systems that fuel education, and provides all the tools needed to personalize education and improve student outcomes. Certify™, Certica’s data quality application, promotes a simple data improvement process by automatically reading your Aeries database each night, and sending secure email alerts to notify district and school personnel about specific data issues that need to be addressed. With Certify, SIS teams are relieved from running manual reports, dividing up data errors and following up with staff, and data quality practices are instilled among SIS users district-wide. California districts use Certify™ to validate the accuracy, consistency and completeness of data in their Aeries systems – before submitting it to CALPADS. Clever powers learning technology in over half of U.S. K-12 schools. We partner with over 300 learning applications to keep accounts synced in real-time and give students and teachers an easy-to-use, personalized, one-login experience. Sign up for Clever and select Aeries.net from the list of automatic sync partners. Kimono is a premium interoperability platform for education that improves the accuracy, accessibility, and privacy of student information. Kimono connects Aeries with other applications through integration platform as a service (iPaaS), enabling bi-directional data to flow automatically. Our standards-agnostic platform utilizes the preferred data standard and integration method for each application in one comprehensive solution. Level Data offers managed solutions with the perfect combination of people, processes, and automation through customization. Offerings include Data Validation, Data Integration, and Directory Services. Tools4ever develops and provides standardized and affordable Identity Governance & Administration (IGA) solutions that can be implemented within a few weeks and are easily managed. PTM Document Systems - Tired of the time and expense of folding and stuffing documents into envelopes? Let PTM Document Systems automate and simplify the distribution of your grade reports, progress reports, truant letters, and more with Print to Mail™. Print to Mail™ is a proven solution with Aeries customers and is in use with over 5,000 schools and institutions across the US. We provide a wide range of systems to meet your operational and budget needs including an entire new line of Print to Mail™ stand-alone systems. Eliminate the envelope and the manual task of folding and stuffing with Print to Mail™, low initial and ongoing costs. Complete Business Systems offers school districts high-quality school machines. You will find Ellison Die Cut Machines, dies and supplies at guaranteed low prices. Xyron laminating machines, laminate cartridges adhesive refills at the lowest price available. We also carry Epson Stylus Pro Printers, these are great for school poster printers and banner printers. In addition you will find poster paper, hot laminate film and teacher's folding carts at incredibly low prices. 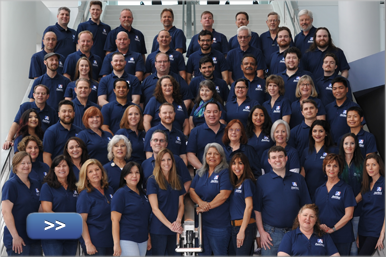 Hayes Software Systems specializes in inventory automation solutions and consulting services to support K-12 instructional technology and instructional material accountability. Over the years, the TIP products have evolved to encompass functionality to manage any asset the district purchases be it technology equipment, assets purchased with federal or state funds, as well as both print and digital textbooks. 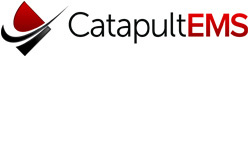 CatapultEMS, a revolutionary way for K-12 to manage a wide array of incident and emergency scenarios. CatapultEMS uses realtime student accounting and two-way communication with teachers, staff, and district administrators. By integrating with Aeries API, we can quickly initialize your setup process and can automate teachers class list for rapid student accountability. SafeSchools Campus Management system is a comprehensive, modular system that provides school administrators with the tools they need to monitor student movement and better manage complex campus activities while enhancing the safety of their students. 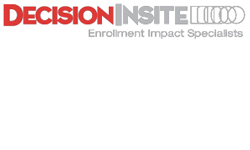 DecisionInsite, LLC - Enrollment Impact Specialists. The DI System provides a rich array of enrollment forecast and demographic analysis tools that are powerful, but easy-to-use, all within the framework of a web-based application that sits on top of Google maps. Features include: student plotting, boundary change tools, custom community demographic reports, theme mapping, and calculators designed to save time with decisions regarding the impact of enrollment on staffing, capacity, room count and combination classes. Davis Demographics & Planning is the premier firm providing demographic analysis and long-range planning and ESRI-based GIS software applications for K-12 school districts. CareDox enables public school health programs to run more efficiently and safely so they can provide crucial health services to over 50 million children in the US. CareDox is 100% free for public schools and is a leader in providing HIPAA- and FERPA-compliant technology to allow crucial health data to be accessible and secure for schools, parents, and students. GoWrite! App for iOS promotes the writing process through Common Core writing standards. For students, there are sample essays across levels and styles, documentation at all writing process stages, guides to help with writing research papers, and more. For teachers, there are writing resources for K-12 teaching and Common Core standards and rubrics links. MeetTheTeacher.com is the online parent teacher conference scheduler that integrates with Aeries. We make it easy for parents to schedule appointments, save time for teachers and allow principals to analyze the conferences with reports. 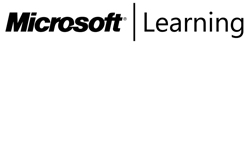 Microsoft Learning provides various tools to identify and locate training offerings for various topics including SQL Administration. 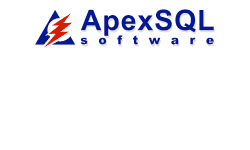 Course 2780 is for SQL 2005 and 6231 is for SQL 2008. When searching for a nearby training location, be sure to select "Training Centers" and enter the Course ID in the Search box. CPSI helps schools and districts finally leverage all kinds of data – from rosters to assessment data to attendance and more – across the entire district in real time. CSPI provides an Aeries-specific SIF Agent module for their SIF-Connect Universal Agent Suite, as well as a SIF Zone Integration Server. Attendance Works offers the free California District Attendance Tracking Tool (CalDATT) and the companion California School Attendance Tracking Tool (CalSATT) to support CALPADS data collection and your district's LCAP goals for chronic absence. While these tools are compatible with any data system, Aeries has specifically modified its system to make calculating your chronic absence data even easier. Principal's Exchange is an organization founded to promote student achievement for historically underperforming students by providing schools and districts with proven turnaround strategies. The Student Privacy Pledge - K-12 school service providers are honored to be entrusted by educators and families to support their educational needs and school operations. School service providers take responsibility to both support the effective use of student information and safeguard student privacy and information security. We pledge to carry out responsible stewardship and appropriate use of student personal information according to the commitments set out by the Student Privacy Pledge and in adherence to all laws applicable to us as school service providers.